Some things just drive you nuts. Take Mitt Romney. 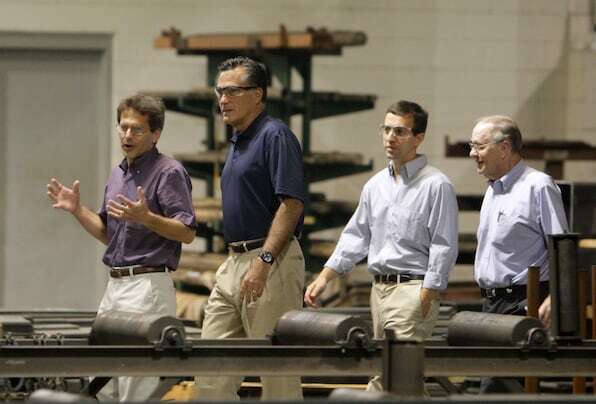 Yesterday the GOP’s presidential wannabe toured Screen Machine, a factory in Pataskala, Ohio, just outside Columbus. The plant make heavy construction equipment, rock crushers to be exact. Really? What did Mitt have in mind? A wimpy stimulus package? A failure to build more infrastructure? In that case, he might have a point. But no, the real problems are environmental regulation, labor safety codes and health care. In other words, with more pollution and more unsafe conditions at work, and less health care to deal with the consequences, business could surge ahead. There’s not any truth to that claim, but that’s not the worst of it. First, there’s the irony that Obama’s health care plan is basically a national version of Romney’s Massachusetts Plan. If we could scrap both and replace them with ‘Medicare for All,’ yes, it would be better for both workers and business–save for the health insurance firms. We need to make a minimum requirement of all elected officials that they at least have the ability to blush when feeding us a lot of nonsense. Of course, that might wipe out most of Congress, and a few in the White House, too. But then we’d have some open slots for politicians who count voters rather than dollars.